Simple. Perfect. 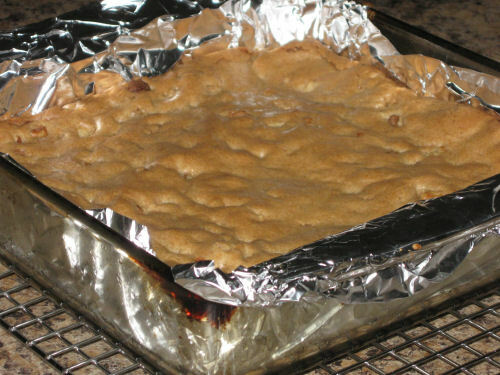 Hands down the best blondies recipe. See for yourself. Preheat your oven to 350 degrees. If you are going to toast the walnuts then place them in a small pan and place in your oven for 10 minutes while it is preheating. Remove from oven and set aside. 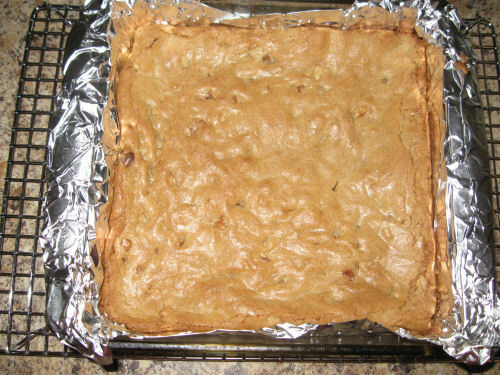 Meanwhile, lightly grease an 8 x 8 square pan (this keeps the foil in place) then place aluminum foil in it making sure foil is tucked into the corners well, all smoothed out and there’s about 2-inches of overhang. Whisk the dry ingredients together in a small bowl, then set aside. 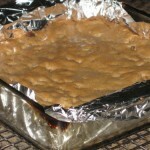 Melt the butter in a medium pan remove from heat and stir the sugar in to melt it. Whisk the egg and vanilla in, then add the dry ingredients and mix only to incorporate, add the nuts and spread in the pan. Bake 30 minutes and remove to a rack to cool completely. 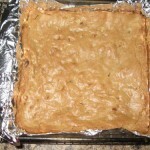 Using the foil to lift, remove from pan, remove foil then cut into squares.